Rendering to a raw image format from Vray for Sketchup can save a lot of hassle for scenes that are highly memory intensive, as well as make it possible to render very high resolution images. Here is a brief tutorial on how to use the vrimg format to render from vray for SU. Step 2. 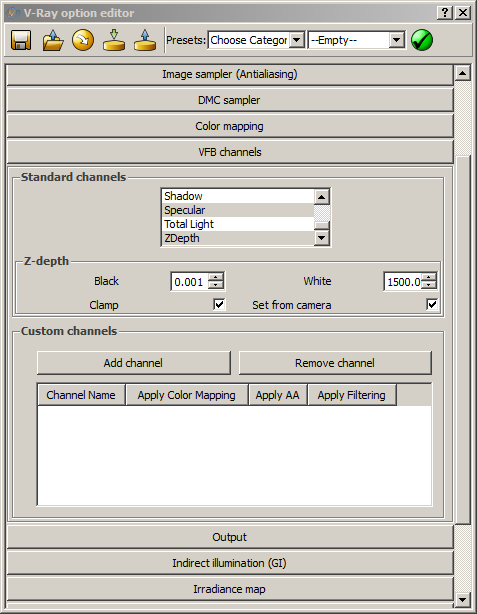 Select the VFB Channels you want to save. Scroll down and click on the channels in order to highlight the ones that will be used. Step 3. Render. 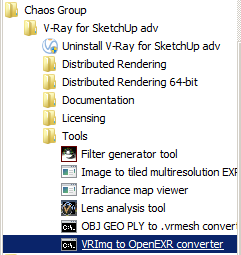 Then when the render is finished, open the “vrimg to OpenEXR converter” from to “Tools” menu of the vray for SU plugin program folder. Step 4. 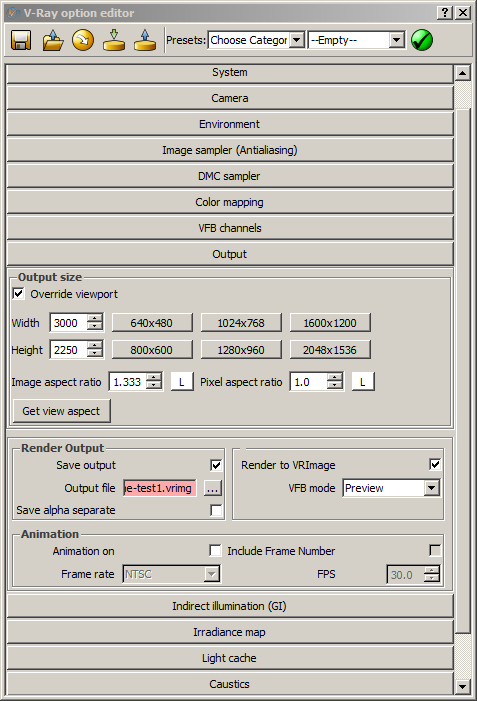 With the converter open, click on “Input file” and browse to the vrimg file you just rendered. Check the box for “Channels in separate files”. I typically use the 16-bit exr format, I find I don’t usually need 32-bit files. If the file is really large, you may need to increase the “Buffer size” Haven’t seen any problems with the default so far. Step 5. Press the “Convert” button. A “Save File” dialogue comes up where you can select an output “.exr” file. Browse to your output folder and type in a file name, then press “Save”. Now you have a set of individual .exr files with the channels you’ve selected saved in your output folder. For batch converting, Just change the “Input file mode” to multiple files and choose your input and output directories.